Yet Another Marvel Hero Is Confirmed For Captain America: Civil War! 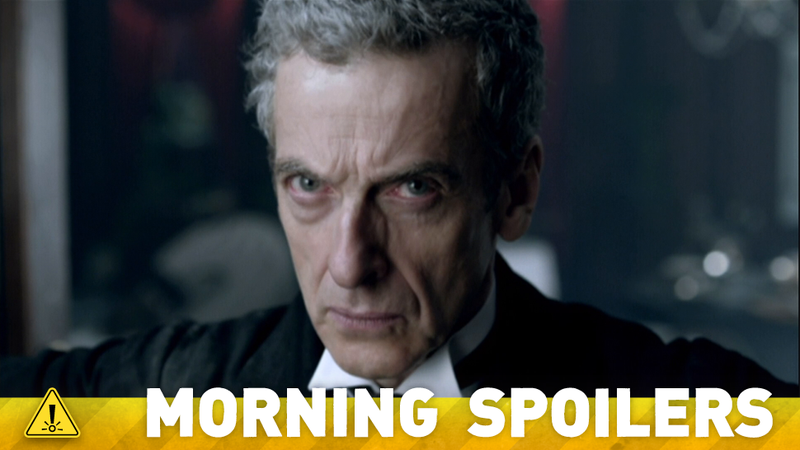 Steven Moffat explains what has to happen for us to get a Doctor Who movie. Watch a new Jurassic World clip! Mysterious casting news for Star Wars: Rogue One, Suicide Squad, and the Arrow/Flash spinoff. Gambit may not be in X-Men Apocalypse. Plus, what happens when the original Agents of SHIELD team reunites? Spoilers! Owen scarpers from the Indominus Rex in this new clip. That’s something we’ve been talking about a lot in the writers’ room. You can expect that there will be more consequences. We’ve sort of established, very clearly, that the Lazarus Pit returns you, but not always in the condition in which you left. There’s a lot of stories still to be told with Thea and her recovery. Jay Jackson, a former high school athlete, whose pro-career was derailed by injury. Now making ends meets as an auto mechanic, Jay will come to have a surprising affiliation to the S.T.A.R. Labs crew. Asked whether he would like to see the film eventually happen, Moffat replied: “If someone can work out how [a movie] actually works, I’ve got nothing against it, but no one’s ever been very clear about how it actually works. It’s not really got that far and it’s not my job. I can neither action it nor stop it. “We haven’t really, to be honest, got an answer to it. All this story is nothing – there’s not been a story for years. Brad and Ian and I, all three of us, were always obsessed with the ’80s/early ’90s slasher genre that was always about young people and always about coming of age. So we loved that and we decided to sort of be inspired by that idea. That was sort of the impetus of it. It’s sort of the idea of what would happen if you put something like Heathers meets Friday the 13th to those genre pictures like Massacre on Sorority Row, that early-to-late ’80s exploitation horror thing. Will we see a bit of internal conflict with Skye, based on the fact that she’s now struggling with a lot of things—namely, seeing Ward again, and her family issues? There’s a scene between the six of them—our six original people—and it’s maybe…I don’t know if it’s my favorite scene of this season, but it’s certainly a top three or four scene of the season, of all six of them together. And part of the reason is that it does everything. You’re reminded of how good they used to be, how good they were together, and what went wrong. The guys did a lovely job on it. PERCY DAGGS III (“VERONICA MARS”) GUEST STARS — Liv (Rose McIver) and Clive (Malcolm Goodwin) investigate the mysterious death of a former sniper, Everett (guest star Ronald Patrick Thompson), who has been working as an instructor at a paintball facility. They begin questioning family members including Everett’s ex-wife and her new husband Sean (guest star Percy Daggs III) and realize things are not what they seem. Meanwhile, Major (Robert Buckley) continues to get closer and closer to the truth, and Blaine (David Anders) does the unthinkable. DEAN IS ON A RAMPAGE — When it comes to the Stynes, Dean (Jensen Ackles) decides to take matters into his own hands. Sam (Jared Padalecki) tries to come to terms with his decision. GOODBYE, MYSTIC FALLS — In the aftermath of Alaric (Matt Davis) and Jo’s (guest star Jodi Lyn O’Keefe) powerful nuptials, things take a dramatic turn when an uninvited guest shows up, leaving Elena (Nina Dobrev) in terrible jeopardy. Despite Matt’s (Zach Roerig) advice to leave town to protect herself, a defiant Bonnie (Kat Graham) takes matters into her own hands after finding herself on the receiving end of a twisted plan. As Stefan (Paul Wesley) and Caroline (Candice Accola) reach an emotional crossroad in their relationship, a reunion with Liv (guest star Penelope Mitchell) leaves Tyler (Michael Trevino) faced with a decision that could change his life forever. Meanwhile, Lily’s (guest star Annie Wersching) reckless actions cause Stefan to realize the lengths to which his mother will go to reunite with her “family.” Finally, after a devastating chain of events, Damon (Ian Somerhalder) is forced to make the most difficult decision of his life.